Dr. Azizzadeh will be speaking about facial paralysis treatment options at the 2015 Midwest Facial Nerve Conference hosted by the University of Wisconsin Facial Nerve Center. The conference will focus on the diagnosis, treatment, and understanding of facial nerve paralysis. 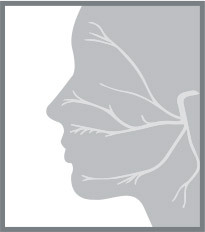 This unique course provides a multidisciplinary forum for clinicians, therapists, and researchers to gather and promote clinical care and research related to the field of facial nerve function and paralysis. Dr. Azizzadeh is the course director of an annual multi-specialty plastic surgery conference at Cedars-Sinai Medical Center entitled “advances in facial plastic and reconstructive surgery.” The symposium allows students and physicians alike to acquire and reinforce new skills with inter-action with top plastic surgery experts and great presentations. The course is two days long and each end with a panel discussion that encourages audience participation. Subjects on the specialties of facial reanimation surgery, rhinoplasty, craniosynostosis, facial trauma, facial paralysis and facial rejuvenation treatments are all covered. 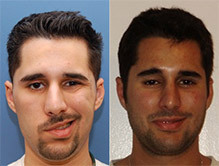 Please contact Dr. Babak Azizzadeh for more information or go to http://www.csmc.edu/pdf/CMEFacialPlastics6-26_FINAL-69085.pdf to learn more. Dr. Azizzadeh presents seminars and training symposiums throughout the year. To receive the most up-to-date information about these events please use the contact us form on the right and receive your information on the latest events. 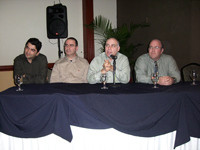 Dr. Azizzadeh speaks in front of his peers in El Salvador. Dr. Azizzadeh representing the Facial Paralysis Institute at the society. If you are interested in having the a Facial Paralysis Institute member speak at your function, please contact us on the right hand side of this page. 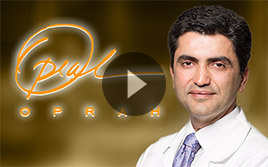 Click here to see the “Ask the Expert: interview Dr. Azizzadeh did with Medscape. It will give you some insight as to how Dr. Azizzadeh approaches the facial paralysis treatment process. We are pleased to inform you that you have been selected for CSMC Clinical Scholar grant in the amount of $23,765.00. The review committee was impressed with your application and your oral presentation. Dr. Dafoe was in conflict with your application and did not participate in the discussion of your application or the vote. The committee selected applicants based on an anonymous vote using the NIH scoring system. Your application was judged to be “Very Good, Strong but with numerous minor weaknesses”. Your award is contingent upon providing a satisfactory written description of how you will modify your application in response to the critiques in the attached summary statement, obtaining a statistical consultation with Dr. Rogatko, and adding a neuropathologist as a mentor. The earliest start date, should you fulfill these requirements is September 1. A mandatory post-award meeting will be scheduled in mid-August to discuss your responsibilities with respect to managing the awarded funds. The awarded funds must be used by June 30, 2012 and all funds must be used at Cedars-Sinai Medical Center. A one year no cost extension is possible with a written request submitted no later than June 1, 2012 and upon approval from the Clinical Scholars Program. You will be required to deliver an oral presentation at the Clinical Scholars Day in the Fall of 2012 describing the results of your studies. A summary of the discussion and recommendations of the review committee are provided followed by the unedited comments of the two assigned reviewers. The committee felt that the applicant was very strong. The second aim was deemed to be weak and premature. It was recommended that the applicant focus on the first aim until the model is fully established. The statistical description was inadequate. Regardless of the nature of the study, data analysis and statistical considerations should have been described in detail. A statistical consultation is strongly recommended. The mentors are good, however it was not apparent to the committee from the application that either Dr. Azizzadeh or Dr. Svendsen have sufficient expertise in the tissue mounting and observation techniques that will be required. It was recommended that a good neuropathologist mentor be recruited to the study. Your application was judged to be “Very Good, Strong but with numerous minor weaknesses”. With respect to the presentation, it felt like the presentation was memorized or being read out loud. While all other aspects of the presentation were good, presenting in a more conversational tone is an area to work on for future presentations. Power considerations and sample size justification were not presented. Dr. Kurtovic is a Surgical Fellow pursuing two years of research as part of her fellowship. She has a strong record of research activities, having been involved in laboratory based research projects as both an undergraduate and as a medical student. She has been working on a project with Dr. Dafoe while a fellow. This project is a departure from the work she has done in the past, but is complementary to the interests she has in pursuing a career as a reconstructive surgeon. She lists one first author paper and three papers where she is co-author. Her record indicates a strong interest in research and is excellent for this stage of her career. The applicant proposes to develop a mouse model with which to study facial nerve regeneration after injury. This is a significant problem that frequently results in synkinesis which causes inappropriate muscle responses to voluntary muscle movements. No treatment is currently available and a suitable model for studying synkinesis is lacking. The applicant proposed two specific aims. First, she will attempt to validate commercially available Brainbow mice as a model to study nerve regeneration. The brainbow mouse model proposed is expected to exhibit up to 100 different fluorescently colored axons throughout the facial nerve. The applicant proposed to use the colored axons to delineate the connections regenerating nerves make with various facial muscles. This is a novel and feasible approach. Although there are approximately 4000 axons in the facial nerve, the applicant expects that there will be sufficient diversity in the color tagging that axons can be traced in a useful manner. This seems like a reasonable expectation although considerable effort may be required. Strengths of this approach are the availability of the Brainbow mouse and the success that other investigators have had using this model. Weaknesses include the lack of evidence that the applicant will be able to easily visualize the fluorescence of the nerve. It is unclear that TPLSM will work through the skin in intact mice. An alternative method would strengthen the proposal. Three techniques are proposed to generate mild, moderate and severe synkinesis. Although the idea seems reasonable, a weakness of the proposal is the lack of a method to assess the consistency of the surgical procedures and the degree of synkinesis. The addition of some sort of functional assessment of the degree of synkinesis would strengthen the approach. A time course for evaluation of nerve regeneration is proposed, however nothing is mentioned about the expected time course of nerve regeneration. This data should be available. A second aim is proposed to use manual stimulation of facial muscles to attempt to influence nerve regeration and decrease synkinesis. This is based on data in the literature from other investigators. A weakness of this approach is the relatively short time per day that stimulation will occur. No justification is given that this will be sufficient to cause an effect. Overall, this is a well thought out proposal. Most of the weaknesses are minor, however there is a general lack of consideration of the variability inherent in each of the procedures. The variation in the degree of synkinesis is critical to obtaining interpretable data. Reliance on histological data without a physiological correlate could be misleading. The description of statistical methods is inadequate. There is also concern that insufficient replication of data will occur. It is likely that more than one mouse per treatment and time point will be required. Nevertheless, it is likely that Dr. Kurtovic can correct the flaws in the application and will be able to validate the proposed model with the assistance of her mentors. If successful, this data has a high likelihood of being sufficient for an application for extramural support. The primary mentor will be Dr. Babak Azizzadeh, an expert in facial nerve injury and nerve microsurgery. He is well suited to train and supervise Dr. Kurtovic. Dr. Clive Svendsen will serve as a co-mentor. He is a well respected researcher and will provide lab space and resources for the project. The mentor team is a strength of the application and should ensure timely progress. It is not clear if the imaging core has expertise in slide preparation. If not, it might be prudent to enlist a mentor from Pathology to train Dr. Kurtovic in the critical slide preparation techniques. The environment is excellent. All of the necessary resources are available in either Dr. Svendsen’s laboratory or in the core facilities. $2.38/coverslip seems high. The budget includes $5,931.25 for F&A costs which are not being charged on this award. A minor issue is that the “quoted costs” for animal-related drugs mentioned in the budget justification were not included. The proposed studies will require IACUC approval. It is not stated whether approval has been sought or received. Dr.Kurtovic is early in her career but already has demonstrated a strong commitment to an academic career in surgery. She has prior research experience during college and medical school and is currently involved in research related to pancreatic regeneration. She has two publications in press at present and a total of four publications overall. The present proposal is a departure from the research she has been performing primarily during the first year, but is on a topic directly related to her surgical interests. It is a research area that has long range potential and appears to be an appropriate direction for her to take. The project is designed to explore the Brainbow mouse model, which produces axons of varied colors, as a way of examining the mechanisms leading to synkinesis following facial nerve injury. The Brainbow mouse is commercially available, but its use in the proposed context appears to be unique. Since Dr. Kurtovic and her mentors do not have prior experience with this model, the first requirement will be to establish that it works as anticipated in their hands. This is not expected to be a problem, given the skill set of Dr. Kurtovic and her mentors. The proposed study will first serve as a way of confirming that the model does work as anticipated in facial nerve injury. While the model should allow for easier examination of what occurs during the process of nerve regeneration, it is not clear how much these studies will add to what is already known about facial nerve regeneration. Dr. Kurtovic proposes to induce varying degrees of facial nerve injury through different mechanisms but it is not clear to me whether these are established methods of inducing injuries of different severity or not. Dr. Kurtovic also proposes testing the efficacy of facial stimulation during recovery as a way to improve outcomes. In general the proposed experiments seem to be appropriate and feasible. My major concern is that little information is provided about the sample sizes to be used or the statistical analysis approaches that will be used. Based on the budget justification, it appears that ~50 mice will be studied, but no details as to the numbers/experiment are provided. Of particular concern is the mention that during each experiment, a single animal will be sacrificed at each time point. It is worrisome that the data from a single animal will be expected to provide sufficient data to draw conclusions and it is not clear whether there are plans to replicate the results. Also of concern is how the analysis is going to be performed. Each animal will be operated on one side and the contralateral side will be used as the control, but animals with different methods of injury will also be compared and in the studies in which the animals will be treated with stimulation it appears that the treated animals will be compared to untreated animals, but none of the analytic methods are outlined. I also have some question about the proposal to use the TPLSM method for in vivo imaging of the nerve. It is described briefly but then it is stated that the studies do not require this technique to work, so I am not clear if there is a sub-aim to determine if TPLSM is an effective way to image in vivo in the Brainbow mouse or if it is directly related to the goals of the present proposal. Dr. Kurtovic has established a group of mentors of diverse background to support her. 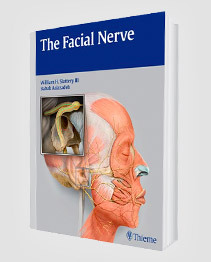 Dr. Azizzadeh has published a number of articles related to facial nerve injury and will provide the surgical expertise Dr. Kurtovic will need for her research and Drs. Dafoe and Svendsen will provide ample bench research expertise. It is not clear if Dr. Kurtovic has established a collaboration with anyone from Pathology, which would also seem to be important for her research. Dr. Kurtovic is also encouraged to meet with a statistician prior to initiating her studies to make sure her sample sizes are adequate. The environment is excellent and Dr. Kurtovic should have access to the surgical, imaging and laboratory resources necessary for this research. Dr. Gewertz has provided assurances that she will have the required protected time. The budget does cover the costs of the research, although I suspect a larger number of animals may be needed to obtain statistically valid results. There is mention that Dr. Azizzadeh’s research foundation will provide supplemental support if needed. Of note, F&A costs are included in the budget but these are not allowable under the RFA. Animals are to be used in the proposal and IACUC approval will be necessary. C. Noel Bairey Merz, M.D., F.A.C.C., F.A.H.A.